The old Covington fire house on North Theard Street, photographed on July 13, will soon be renovated and turned into a community center. 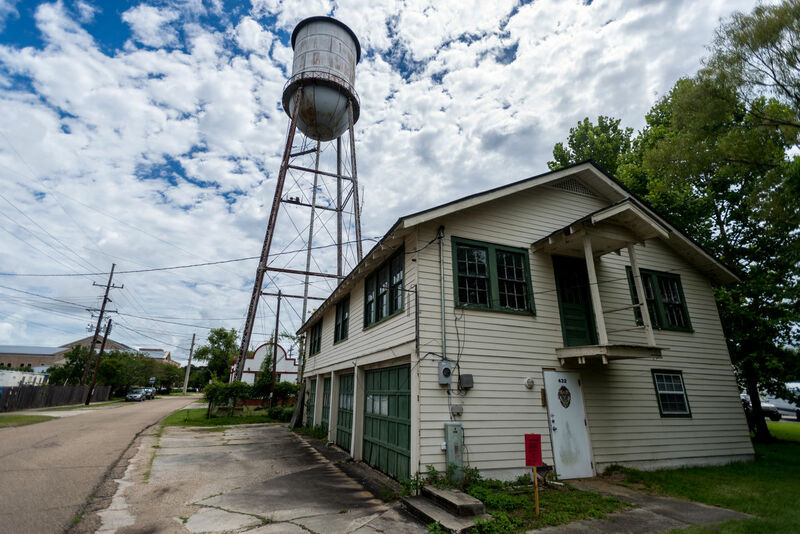 Though it hasn’t been used by firefighters for decades, Covington officials hope that the old fire house on North Theard Street can be transformed from a vacant building into a new space that will be used for years go come. After working for years to come up with the right plan for the old building, the city of Covington, which owns the fire house, can move forward on a renovation that will turn the building into a community center after the Historic District Commission approved the proposal unanimously at its July 11 meeting. Plans call for the community center to consist of one large meeting room, and though the specifics of how it will operate haven’t been decided, Mayor Mike Cooper envisions a space that groups can rent out for events such as receptions or other large gatherings, perhaps using the space in conjunction with the adjacent Covington trailhead. The building served as the city’s official fire station before the construction in 1972 of the current Fire Department building at 525 N. Jefferson Ave. The building subsequently served as an office for Covington Downtown Development before becoming a detective’s office in the early 2000s. The building was then vacated in early 2012 because of failing structural conditions. Since that time, the city has searched for a new use for the fire house, leading to a feasibility study by WDG Architects in 2015 that determined the building was worth saving. The city hired Michael Hunley, an architect based out of Covington, to come up with plans for the renovation, which he presented before the Historic Commission. Hunley told the commission the building will be turned into one large, open space, as opposed to keeping the two-story design that housed fire trucks on the first floor beneath the department’s offices upstairs. Instead, the new space will utilize the approximately 1,300 square feet that make up the first floor, along with a new 300-square-foot addition for bathroom facilities and an area for catering. The city has budgeted $400,000 for the project, which Hunley said is right above the amount he came up with in a preliminary estimate. Cooper said he now hopes to have engineering plans drawn up by the end of the year, and then the project will be put out for bid. He expects actual work to start some time in 2018.
Cooper said he is excited to move forward with the project and expects the finished product will fit well into Covington’s future landscape, just as it has in the past. “It’s in close proximity to the trailhead and ties in to all the other amenities we have in that area,” Cooper said.